My mission is to bring 5th dimensional energies down to the planet to assist in the healing, awakening and enlightenment of humanity. My mission is to participate and contribute as fully and entirely to the tipping point that is coming, for the coming of the "Golden Age", through Art. I imbue each painting and print with high vibration energies. 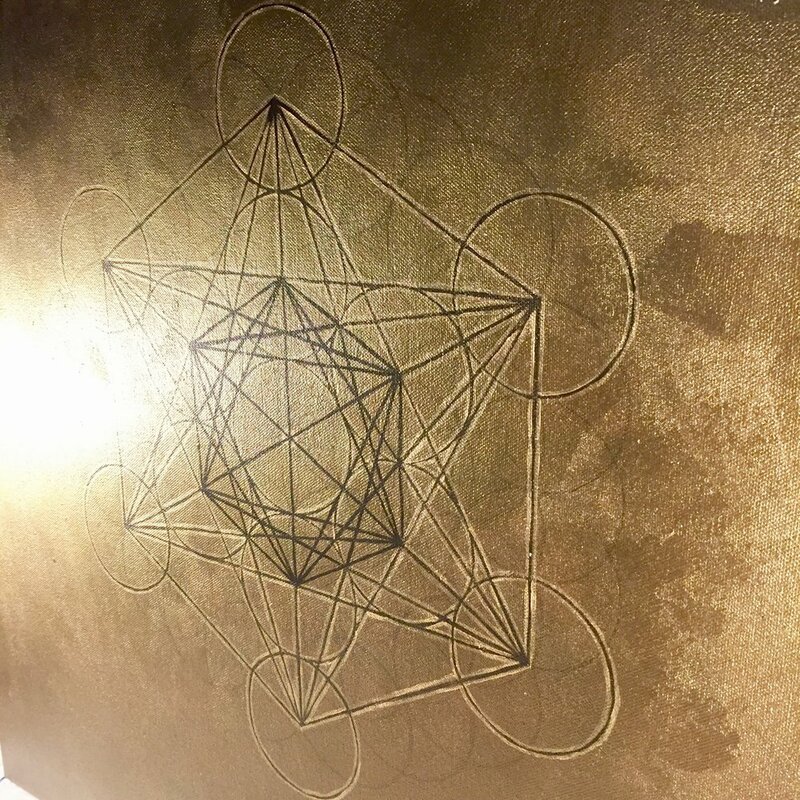 These art pieces in homes and offices around the US and the world create a healing matrix of energies. I also regularly connect to the pieces I have already sold and send specific healing energies, as inspired by the current downloads of energies to the Earth. I strive to be as pure a conduit as possible for God/the Source to pour the frequencies that will most uplift the owners of the art pieces, as well as anyone who lay their eyes upon them. "Beloved God, Angels, Archangels, Ascended Masters, I call upon you to work through me. Grant me the Grace of being a vehicle for your energy. Embue this piece with your deep loving healing energy, for the awakening and enlightenment of humanity and the well-being of all, for (owner) and each and everyone who lay their eyes upon this piece, for as long as it exists in this 3 dimensional world. And so It Is. I Am the Light. The Light I Am." When you purchase a personalized commission piece, I'm able to add the specific quality of energy that we both feel will serve you most at this point of your life. It can be peace, courage, acceptance, transcendance, compassion, love, and many others. Please contact me if you have any questions and I'll be happy to share more.